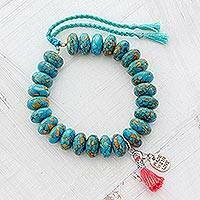 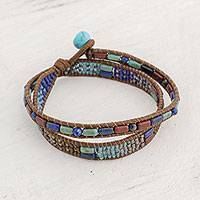 Petite glass beads in different shapes are meticulously strung on nylon cord using a small, specialized loom. 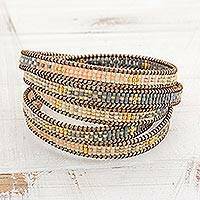 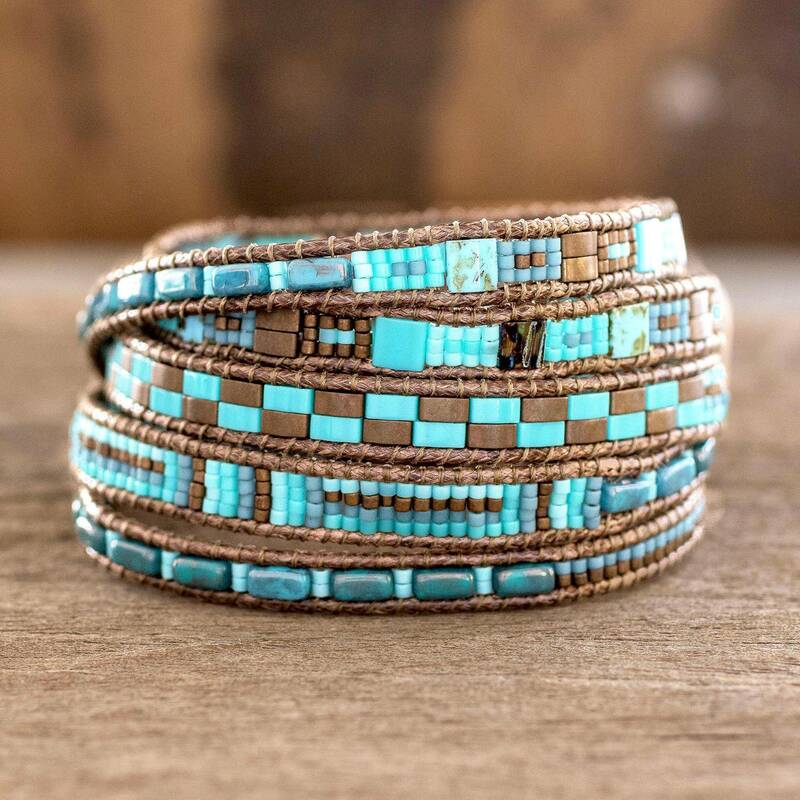 Guatemalan artisan Cristóbal Ramírez designs and handcrafts this stylish wrap bracelet to feature colors of turquoise blue and bronze. 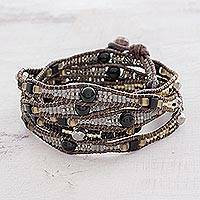 It closes with an antiqued pewter button.